Taylor Swift has announced a new album and shared its cover art. 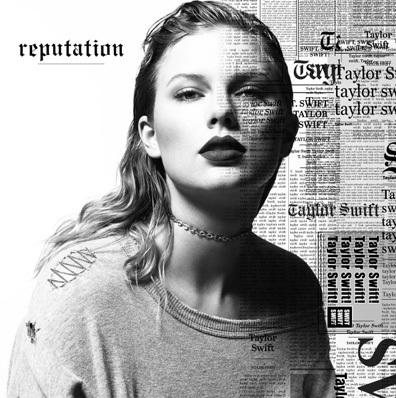 It's titled Reputation and the cover art features a black & white photo of Swift partly covered by newspaper pages with headlines about her. The album is due out November 10 and its first single, "Timeless," will arrive tomorrow night. That is all the information we have at this time, no tracklist has been revealed. The album is the follow-up 2014's mega huge 1989, which was later covered by Ryan Adams (whose cover album was then covered by Father John Misty, in the style of The Velvet Underground). In the last three days Swift has posted some strange teaser videos featuring a snake, which are below, as well as today's tweet announcing the album. Really looking forward to this album, I’m sure it will be great.